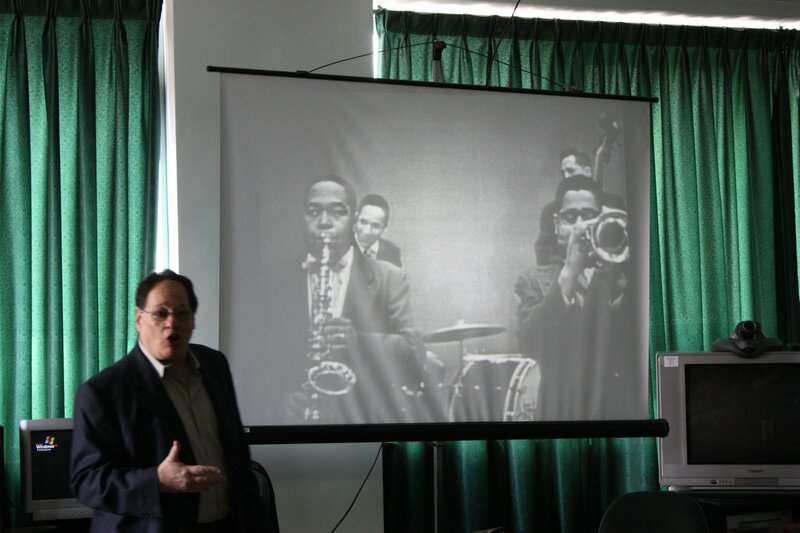 I spoke on jazz and blues at the University of Jordan, a modern 45,000-student institution, in an event sponsored by the American Embassy while in Amman on family matters a couple weeks ago. 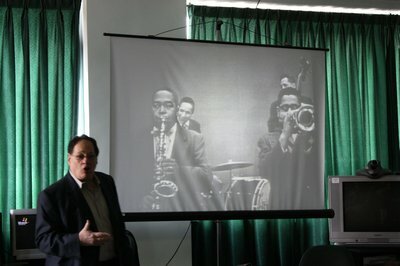 About 50 avid students of music, arts and literature and their informed faculty watched videos of Louis Armstrong at age 32 doing “Dinah,” Charlie Parker & Dizzy Gillespie playing “Hot House,” Billie Holiday with all-stars singing “Fine and Mellow” and Muddy Waters among other immortals from the American Folk Blues Festival, 1962-69, vol. 3. I talked about blues and jazz being one in essence, but different in practice. 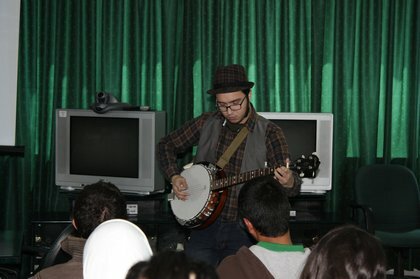 Then second-year Jordanian student Nabil Gonzalez played banjo, harmonic and sang two original numbers in a U.S. folkie style. “I’m passionately in love with bluegrass music!” Gonzalez told me. 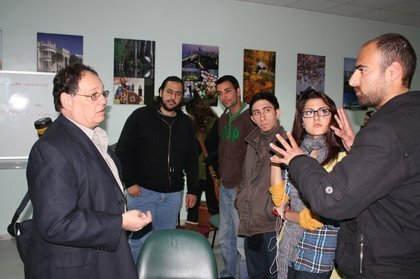 Other of the young people were eager for jazz and blues, but said they had little access to the music or information about it. It’s always inspiring to hear musicians from countries considered “removed” from jazz music really take jazz to new levels. I recently heard an incredible 13 year old Israeli pianist by the name of Gadi Lehavi jamming with David Liebman (you can find it on YouTube) and was totally blown away. Here’s to jazz continuing to branch out into the global artform it truly is.